Dave Clarke, President of Arbor Garden, has been in the tree industry since 1985. 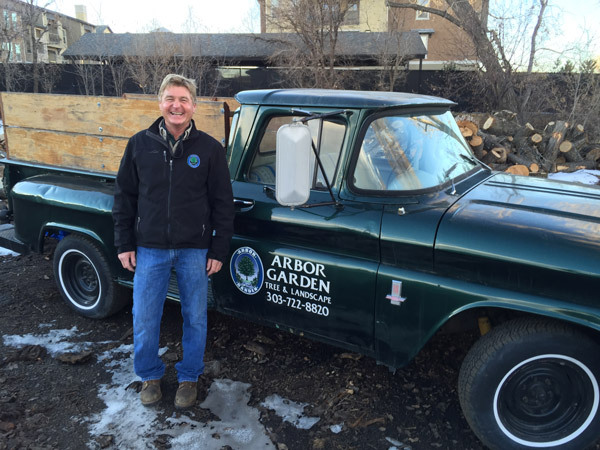 He started Arbor Garden in 1994 with his 1963 Chevy pickup and a few tools, and grown the business to our current fleet of vehicles and equipment to cover any issue with trees. "We work hard to develop long-term relationships with our customers," says David Clarke. "I believe it's because we provide quality, personalized service that larger tree care corporations are unable to provide. When the owner of a company physically visits a customer's property and helps perform the work, a customer just gets better results." "We are a service-oriented company," states Clarke. "I am very involved in the day-to-day work. I am frequently on site and able to assess whether our company is delivering the best results to our customers and I can make sure that we respond quickly to customers' feedback." We look forward to having you join our long list of satisfied and repeat customers. Contact Arbor Garden for a personal consultation at 303-722-8820 or simply Inquire Online Here.